The key in renewable energy sector is not one specific data tool, but using a combination of several different data techniques. According to the latest issue of the U.S. Energy Information Administration’s (EIA) Electric Power Monthly, renewable energy sources accounted for 19.35% of net U.S. electrical generation during the first quarter of 2017. This share is likely to increase as the renewable industry continues to embrace latest big data tools and technology. 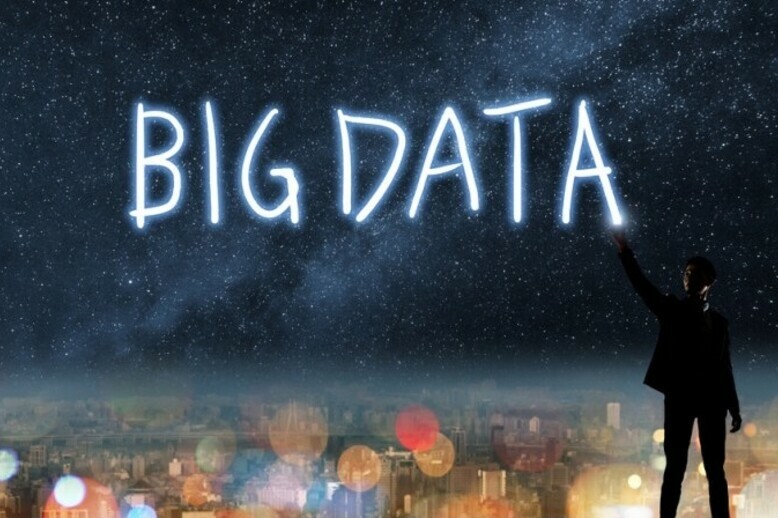 In fact, big data seems to be everywhere these days. While government agencies are using it to improve their decision-making processes, private corporations and marketing agencies are using it to target specific consumer segments. The renewable energy sector is also trying to take advantage of big data and machine learning in the best way possible. Here are 4 ways big data is changing the future of renewable energy sector. One of the biggest advantages of big data in the solar industry is the optimization of the energy production and its distribution. Though, renewable power generation is on the rise, the intermittent and unpredictable resources (wind and sunlight) often hamper the overall renewable energy production. As a result, it becomes difficult for solar and wind power plants to operate at their maximum potential. The good news is big data is rapidly changing this scenario. Historically, solar and wind power plants have always collected data. Thanks to the advancements in big data, predictive analytics, and machine learning, this data can now be combined with weather and satellite data. In short, this solar and wind forecasting technology can predict weather conditions well in advance, allowing renewable plants to increase their production significantly. Instead of increasing the number of solar panels or wind turbines, the idea is to increase the efficiency of existing plant infrastructure. For example, IBM’s Hybrid Renewable Energy Forecasting (HyREF) uses a combination of big data, predictive analysis, and weather modeling technology to predict the variable resources for wind and solar power production. It can increase the amount of renewable power generation integrated into the grid by 10%. This additional energy can power 14,000 homes. Thus, power plant owners no longer need to spend more money on additional infrastructure costs. The rapid influx of large-scale wind and solar power plants has resulted in higher energy production. However, maintaining the power plants spread across a vast terrain is fast becoming a tough balancing act. A massive solar power plant, for example, consists of hundreds (or even thousands) of solar panels, different types of sensitive equipment, sensors, installers, inverters, and a complex web of wires. As a result, ground level operation and maintenance become increasingly difficult, affecting the daily energy output of the plant. With the help of big data analytics, however, companies can streamline their operations and management (O&M) processes to a great extent. For example, Extra Space Storage (ESS), one of the largest self-storage management companies in the U.S., is already using big data to run day-to-day- operations of various solar plants. The company has used Virtual Irradiance (VI), a solar management program based on big data that collects ground-level irradiance (sunlight intensity) data accurately. The program eliminates the need for expensive on-site sensors. The analytics tool has enabled ESS to verify how well solar panels perform under varying weather conditions compared to their ratings. The software can send a signal whenever solar panels underperform or overperform. Thus, the ground crew can locate the problem quickly and take appropriate action. As a result, they are now better equipped to handle ESS’s increasing solar fleet, while reducing operations and maintenance costs considerably. According to Streetlights-solar renewable energy is enjoying a rising support from private organizations and individuals due to the gradual decline in its production cost. According to Bloomberg New Energy Finance, the price of building an offshore wind farm has fallen 22% in 2016, across Europe. From 2012 to 2016, the cost fell by almost 46%. At present, erecting turbines in the seabed costs an average $126 per megawatt-hour capacity compared to $155 per megawatt-hour price for new nuclear developments across Europe. Thanks to the latest big data and predictive analysis technology, renewable energy companies can now produce more energy without yielding additional infrastructure costs. The ever-growing ability to extract useful information from big data is one of the reasons behind the gradual decline in the renewable energy prices. In the coming decade or so, renewable energy will be cost competent with its conventional counterparts. Though renewable energy sector is growing, the growth rate could be much better. Unfortunately, at the moment, only a handful of financial organizations, banks, and insurance companies consider renewable energy projects as credible investment options. Usually, the lack of reliable data that supports the long-term viability of a project is the reason why most investors are hesitant to back a renewable energy venture. Another obstacle is the risk based on energy output volatility. Though the Power Purchase Agreement (PPA) can guarantee prices for power production from a solar facility, it cannot shield investors from the risk of energy output volatility. With big data tools, companies can forecast energy generation based on past performance, weather, and other parameters accurately. It can also help determine the precise quantity of wind turbines or solar panels required to produce the desired output. Thus businesses can use big data to make renewable energy projects bankable. KWh Analytics, a San Francisco based solar data management startup, for example, has developed a new PowerLock financial product based on big data. The product aims to offer an insurance-backed production guarantee to solar projects that protects lenders and asset owners both. It is said to increase equity returns of solar projects by up to 50%. PowerLock combines Standard and Poor’s “A” rated global insurance carriers with the largest solar database in the world. This (big data analysis) allows the platform to eliminate the risk of mispricing and its impact on the capital cost. Big data, just like any other industry is revolutionizing the renewable energy industry as well. However, the key is not one specific data tool, but using a combination of several different data techniques to increase the efficiency while reducing the production cost. The ever-evolving technology has already bought installation cost of renewable power plants (solar and wind) to the lowest point in history. The big data tools will not only bring it down further but also make such projects more bankable. The bottom line is big data is changing the renewable energy sector for better. Janie Henry works as a freelance content writer. Well-acquainted with different writing styles and niches, she regularly writes for Sompor - A LED manufacturing company. The passionate wordsmith also takes a keen interest in startup stories and loves to binge watch her favorite series on Netflix!